There’s something ancient about preaching. As preachers, the centerpiece of our work is a 2000-year-old book. But there’s also something about preaching that’s undeniably contemporary. We lead people marked by 21st-century tensions. The preacher’s task is therefore doubly daunting: Faithfully handle an ancient text, and then teach it in a way that’s accessible to a modern ear. But what happens when the sticking point of a sermon rests on an image, idea, place, or name that seems trapped in a distant cultural context? I serve in a church with several teaching pastors. Our lead pastor handles the bulk of the preaching load, with the other four of us preaching about once every three months. A few months back, Matthew 18 was coming up on the preaching calendar—and the text fell to me. The narrative reaches its crescendo when Jesus says: “Whoever causes one of these little ones who believe in me to sin, it would be better for him to have a great millstone fastened around his neck and to be drowned in the depth of the sea” (Matthew 18:6, ESV). 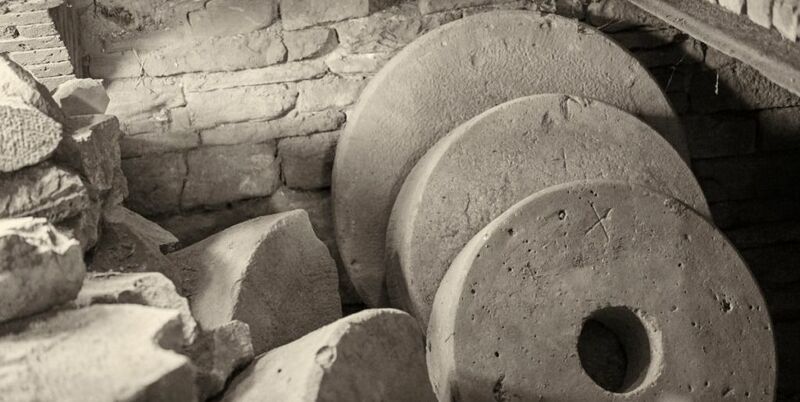 As it turns out, a large millstone weighed about 250 pounds. Most families in first-century Israel had one. It was a familiar image for Jesus’ audience, but has simply lost its power over time owing to modern agricultural methods. It’s harder to relate to a millstone in 2017. If I was going to faithfully represent Jesus’ message about the severity of sin, then, I needed a memorable way to bring his picture back to life. I said it slowly. Phrase by phrase. I noticed more than a few smiles, and I was encouraged by a few conversations after worship. One guy even said that he’d “never open his fridge the same way again.” The point stuck. Good metaphors are contemporary: The image of a refrigerator metaphor resonated because it’s a recognized fixture of our modern world. Good metaphors are common: Nearly everyone I know has a refrigerator. They open and close it dozens of times throughout the day—usually without really thinking about it. Good metaphors are consistent: If you’d lived in Israel during the first century, there was a good chance your moving buddies weren’t looking forward to helping you lug your millstone around from house to house. Same with a fridge. A great metaphor doesn’t explain what something is, but what something is like. In that way, metaphors have a disarming and even an enchanting effect on the hearer. A well-crafted metaphor serves the modern preacher well, allowing the hard truths of the Word easy entrance into the head while they slowly take root in the soul. Brannon Marshall is the Pastor of Adult Ministries at The North Canton Chapel in North Canton, Ohio. A perpetual student of missiology and church health, Brannon is the author of Move (Awana, 2014) and The Courageous Adventures of Lilly Hilltopper (Ephemera, 2015). He deeply believes that every piece of lasagna should be a corner piece. Ditto for brownies. If you have an issue that you’d like to see the Sermonary blog tackle, or if you are interested in becoming a contributor, send your questions and queries to editor@sermonary.co.